Trust Lozier Heating and Cooling to give you the best heating service in Des Moines. Whether you need to replace parts on your furnace, schedule regular heating maintenance or have a new furnace installed, our certified techs promise to put you first. A well-heated home is our first priority, and making your heating service as painless as possible is our second priority. We give our customers three fast ways to get in touch with us so you can choose the option that works best for you. You can reach us 24/7 when you call 515-267-1000. If you need emergency services and need a heating and cooling company to solve your problems quickly, we’ll be there. Now you can text us! Our representatives will help you schedule an appointment when you text 515-393-4262. Prefer to use email? Set up your next appointment online by filling out our service request form. Need to ask the heating and cooling experts a question about your system? Put our HVAC knowledge to the test and reach out to us using our contact form. When we come to your house for a furnace service appointment, we will always check your thermostat since any malfunctions here go hand-in-hand with your heating and cooling systems. Just like you maintain your car by taking it to the shop or you keep your hair healthy by visiting the salon, the life of your heating and cooling system can be extended it's well taken care of. Furnaces typically last 15-17 years, but with routine tune-ups, Lozier Heating and Cooling will help your furnace last closer to the 20-year mark. Regular maintenance for your furnace can prevent it from breaking down and causing you a stressful heating emergency. Lozier Heating and Cooling rewards loyal customers by offering a great alternative to the routine maintenance plan. When you join Lozier Loyalty Rewards, our experienced technicians will perform regular furnace services and tune-ups twice a year, and each year you’re a member, you earn points that will go toward the purchase of a new furnace when you’re in the market for one. Rewards members can also expect other great perks - check out more details on our specials page! When deciding whether you need furnace repairs or a replacement, there are quite a few factors to consider, but it’s never too soon to start saving. Our team works with you to discuss your options and uses our furnace guide and expert HVAC knowledge to find a furnace that meets your home’s efficiency needs and budget. Lozier offers the best ENERGY STAR® rated furnaces. 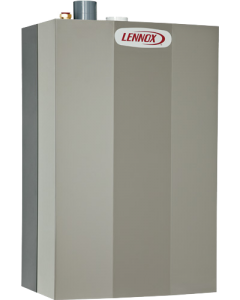 Improve your home's efficiency and save money - with products built locally at the Lennox factory in Marshalltown, Iowa. Our technicians are also SAVE-certified, meaning they have been properly trained in energy-efficiency installation, and measurement so you know you’re in good hands no matter the situation. Contact us today about discussing a new heating and cooling system! Heat pumps take care of both the heating and cooling for your home. They offer consistent efficiency no matter the season. They work by transferring heat into or out of your home using refrigerant or antifreeze solution and a reversing valve. There are other essential components to move air through the ducts and your home. A compressor prepares refrigerant for heat release, and your thermostat is control central. Heat pump systems are basically A/C units that can go in reverse. Because your heating and cooling needs are met in one convenient system, heat pumps are becoming an option for homeowners who may have never heard about their benefits previously. If you're searching for a better way to cool your home during the summer or keep warm when the temperatures drop, a heat pump could be your best bet. When paired with furnaces, heat pumps create a dual fuel system to handle those especially cold days where a furnace is needed to help keep your home warm. As it is with other heating and cooling systems, there are a variety of choices to help best meet your comfort needs and your budget, so there’s likely a heat pump to fit your situation. Our heating and cooling technicians can help you with any heat pump repairs, part replacements or if you have questions about a new system. Reach out to Lozier Heating and Cooling today! Iowa winters bring unpredictable weather with them - throwing all types of furnace systems into chaos. One thing you know you can rely on to be hot (despite the frigid outdoor temps) is your water. There’s no reason to chance nights without heat or hot water when you have the SAVE-certified technicians at Lozier for all of your hot water repair and installation needs. We pride ourselves on having repair and installation services that are second to none and always ensure that our services are done on time and completed correctly the first time. Contact Lozier Heating and Cooling for any water heater or boiler maintenance and replacement needs. When you use a tankless water heater, water is sent through the system’s heat exchanger before it gets sent to whichever outlet you are using, be it a faucet, shower or any number of other uses. The system is also intuitive enough to recognize an increase in water usage so that it can boost its workload to help keep consistent temperatures. If you’re looking for another way to help increase your home comfort and have thought about changing the way you heat your home’s water, a tankless water heater might be your best option. Ask a Lozier Heating and Cooling technician if this is the right option for you, or reach out if you’re in need of repairs!